I’ve finally gotten a new laptop! Well, it’s a tablet, Microsoft Surface RT. But it does everything I regularly use my laptop for. It has Microsoft Excel, Word, PowerPoint and OneNote, will soon have Outlook too (already has for people who don’t mind installing the Windows 8.1 preview OS). And as a Microsoft Excel Consultant, I only use Excel, PowerPoint and Internet Explorer on my Sony VAIO laptop (don’t ask why). So now you understand why I said I have gotten a new laptop. 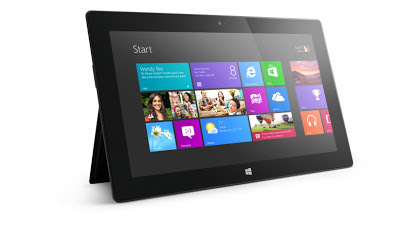 In this post I will be sharing what I love about my new Microsoft Surface RT tablet. Though I am tempted to put the Microsoft Office 2013 Home and Student RT edition as number 1, it will be extremely frustrating to use without the Type Cover (or Touch Cover). 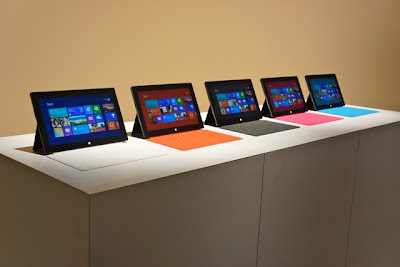 The Type Cover is what makes the Surface RT a real work tool, it turns it into a Windows 8 laptop. Amazingly, I find it equally convenient typing on my Surface RT as I do on my Sony VAIO. And thanks to the USB port, you can connect an external keyboard or mouse. And right now, I am typing this post via a USB keyboard, Microsoft Wired Keyboard 600. Working with Excel using this keyboard is a beautiful experience, it has soft-to-touch keypads, a Num pad, volume control buttons, and a calculator button. But the Type Cover beats this, as it doubles as a cover and it goes everywhere with the tablet unlike the sit-at-home USB keyboard. This is Microsoft’s secret in the tablet war. And for me, it’s all I need. I have an android phone and an iPod Touch, I have installed both paid and free apps on them, but you can't get anything useful done on them without the internet. The iPad as always looked to me as an oversized iPod Touch, not a work device. But with the Microsoft Surface RT, I have a work device that does everything I use my laptop for, has over 8 hours battery life, extremely sleek and portable and has a USB port! I recently traveled for a training last week, I needed to make a club meeting agenda on Excel, type out a document in Word, go through a PowerPoint presentation and send SMSs to phone numbers on an Excel database. I wouldn't dream of doing these on a tablet, but my Surface RT did them all and I even copied out files for people via a USB pen drive. I was able to do advanced data manipulation on the Excel to extract emails and group them in 60 or more separated by commas, making it easy for me to send mass emails. And also same for the phone numbers, making life easier for me. The only thing I can’t do (yet) is code macros or run macros. Which is no issue considering that I can’t properly view some Excel files on iPad and Samsung Galaxy Tab, let alone edit them. Amazingly, it’s got (nearly) all the features of the full Windows 8 OS – Control Panel, File Explorer, Internet Explorer, Apps and in-built drivers. It detects printers, mice, keyboards, flash drives and phones automatically. Best of all, it can copy file directly to a USB device and charges your iPhone, Blackberry and Android phones once you connect them. That’s worth more than an app store filled with thousands of apps. What most of us need is a simple (out of the box) way of doing the basic things we do on our laptops – surf the web, share files, watch movies and play music. We don’t want a tablet that is mostly useful for showoffs and useless without iTunes on a computer/laptop. 4. Finally, the sturdy build and impressive hardware. You just can’t take a single look at the Surface RT tablet! And the hardware specifications are sure to beat two future generations of the iPad (except the screen resolution and camera). 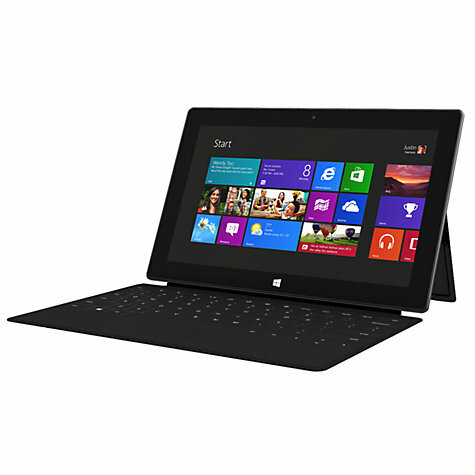 If you care about getting things done on your tablet, then go for the Microsoft Surface RT.